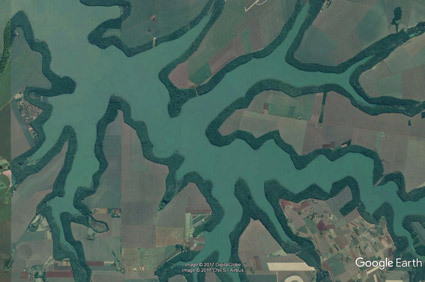 If you arrive in Foz do Iguaçu by airplane in daylight, do not forget to look out the window and see the unbelievable buffer strip (average width of 200 m) of riparian forests separating the lake from the intensively cultivated lands around. The lake is, actually, the reservoir of Itaipu hydroelectric power plant, resulting from the dam of Paraná river just in the border between Brazil and Paraguay. 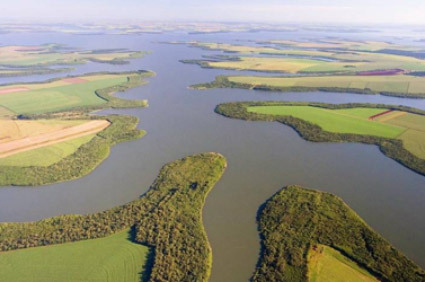 Together with the native remnants, the restored forests, planted since 1979, cover 60,000 ha along 3,000 km of the lake margins in both countries. The main target of this huge restoration intervention was to provide protection from silting and contamination of the water and extend the service life of the power plant. This is a major example of successful ecological restoration aiming at ecosystem services. Don’t miss the field trips on Wednesday that will provide you the experience of visiting these forests by boat or by walking.